September 17, 2014 By Allyson 3 Comments This post may contain affiliate links. Read my disclosure policy. This is a guest post from Kelley who shares great recipes, crafts, and tips to improve your home and family at the blog Miss Information. Hi Domestic Superhero fans, I’m so excited to be visiting with you today. Allyson and I both live in Atlanta and belong to a local DIY blogging group. We both enjoy food and family. Allyson asked a few of us to help out while she is enjoying her new baby so today I want to share with all of you who are green thumb challenged a quick DIY project. 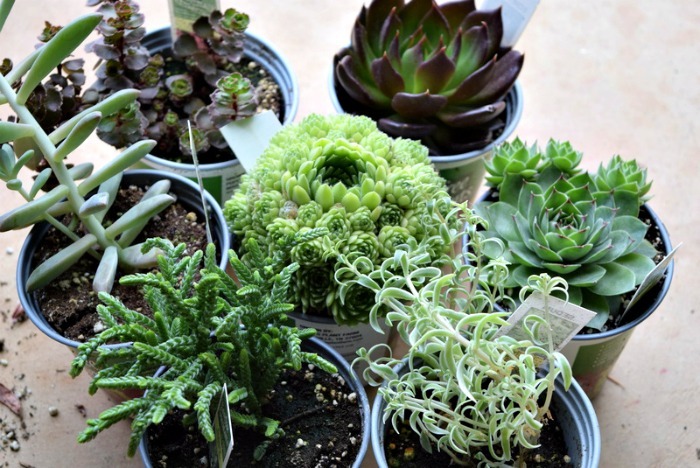 Have you ever wondered how to make a succulent garden? They look so pretty but until you know just how easy it is they may look intimidating. Not to worry you should be able to find small bags of all these items or do like I did and find a neighbor with a sand box and borrow a cup or two from their bag. First I went to our local garden store. I played around with a few sizes and colors to find what I liked best. My favorite is the one in the middle that looks like bright green cabbage roses. 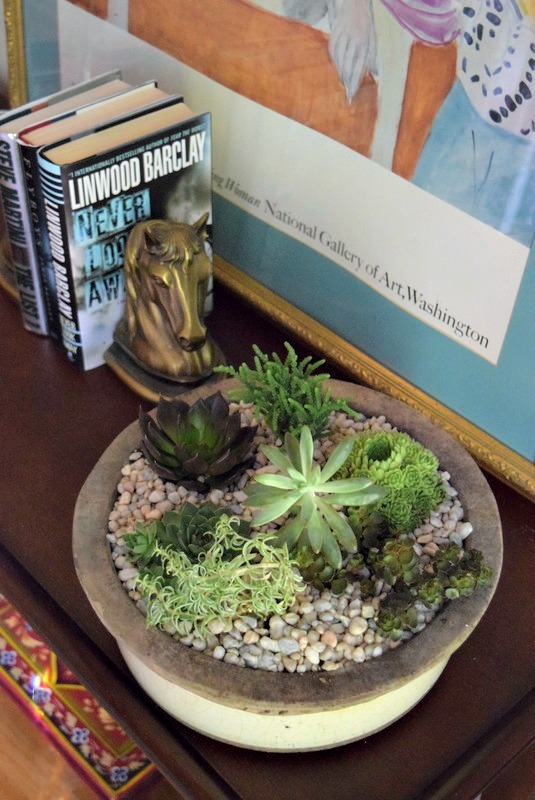 One of the secrets to succulent gardens is well-drained soil. First you need to start with a pot that has drain holes in the bottom. If your pot does not you can use a mortar drill bit to make a few holes and not break the pot. 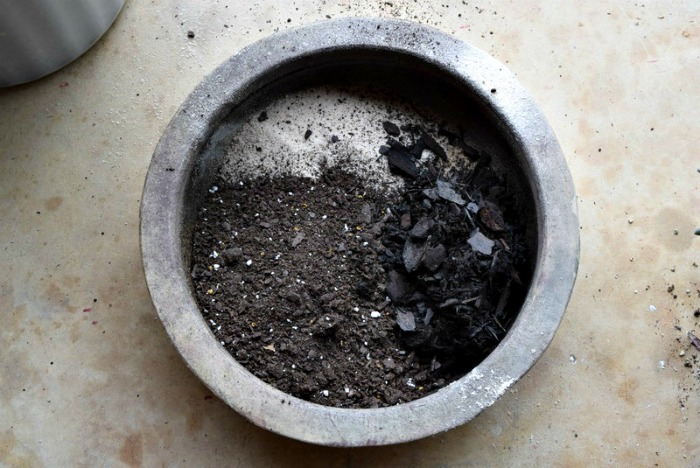 The perfect mix of soil for a succulent garden, in my opinion, is a mixture of soil, sand and bark. Use equal parts of all 3 (does not have to be exact). 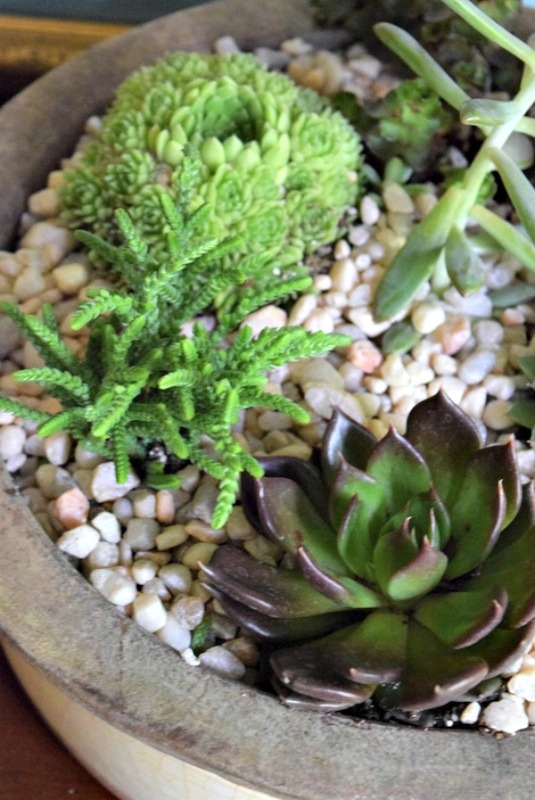 Place your succulents in the soil mixture and add more soil if needed at the top. I placed the two plants with purple opposite each other and placed the tallest in the middle. This gave the garden more balance. Cover the soil with small pebbles. This is optional but it really adds a great finishing touch. I placed my planter on a cork trivet in my entryway and every week or so I just spray it with a water bottle. Don’t over water it or the roots may rot. It’s so great to have real flowers in the house that don’t need a lot of attention. 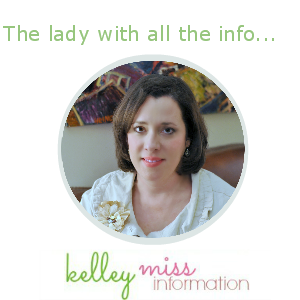 I would love it if you would come and visit me at Miss Information where I share recipes,crafts, tips for cooking, cleaning, and organization. You can also find me on Facebook, Twitter, Pinterest or Google+. Wow! Your succulent garden has turned you very nicely! 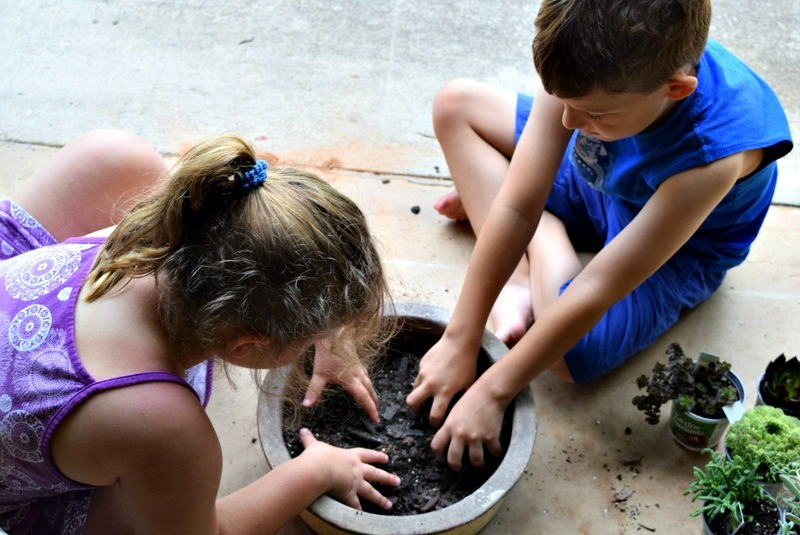 Such a neat hands on project to do with kids! 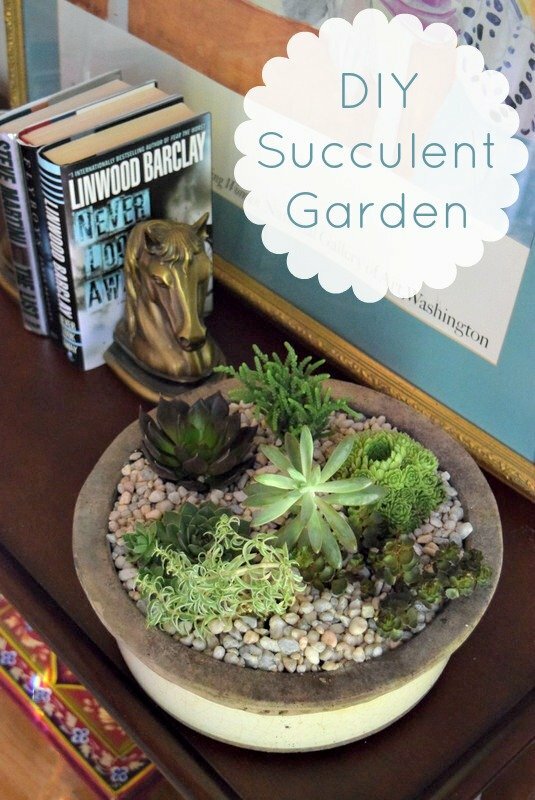 Succulent gardening inside my home with few easy steps, amazing idea .Thanks for sharing.